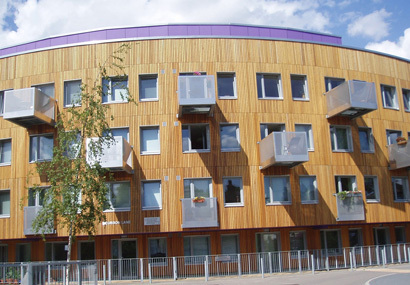 Siberian larch is a durable and strong timber ideally suited for use in external conditions. 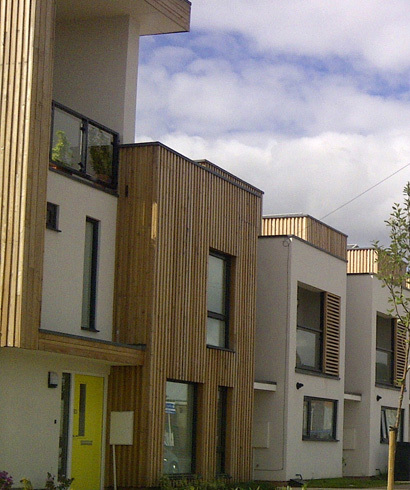 Used as cladding, decking and solar shading and can be fire treated and coated. Siberian larch varies in colour having tones of yellow brown, light brown through to reddish brown. It is a very resinous wood, with clearly marked annual rings. It has a straight grain, a fine, uniform texture and is rather heavy, weighing on average 590 kg/m� when dried, it is likely that plantation grown L.sibirica and that grown in more southerly Europe is of lower density. Its heartwood is listed as moderately durable, and its narrow sapwood means a high proportion of heartwood can be recovered for use. A wide range of coatings can be applied, subject to appropriate profile design, sound preparation and application of the coating in accordance with manufacturer's instructions. Its natural stability is not as good as other species and natural movement can create fine surface checks and end split in this material that can compromise coating adhesion. Must be stored and protected correctly on site. This species can be treated for Internal and External (leach resistant) use. Can achieve both Euro Class �B� & �C� classifications, by a pressure-impregnation process. This can lead to an increase in brittleness and issues such as end split and distortion, which can increase wastage. This means that an increase in actual length of pieces ordered and/or overall volume may be appropriate. The native distribution for L. sibirica extends across Siberia to Mongolia and northern China. In Siberia it is extracted from 'natural forest' and most of this timber is extemely slow grown material. In the eastern part of its range it hybridises with L.gmelinii and is known as Larix x czekanowskii. L.sibirica is also grown in plantations in Austria, Norway and Finland yielding more quickly grown material. It has been introduced into Canada and northern USA. Listed in the IUCN Red List of Threatened Species as LR � Lower Risk (least concern). Not listed in CITES. Believed available from well-managed sources. Check certification status with suppliers. The heartwood is pale reddish-brown to brick-red in colour, sharply defined from thenarrow, lighter-coloured sapwood. It is a very resinous wood, with clearly marked annual rings. It has a straight grain, a fine, uniform texture and is rather heavy, weighing 590 kg/m³ when dried, it is likely that plantation grown L.sibirica and that grown in more southerly Europe is of lower density. Its heartwood is listed as moderately durable, and its narrow sapwood means a high proportion of heartwood can be recovered for use. A wide range of coatings can be applied, subject to appropriate profile design, sound preparation and application of the coating in accordance with manufacturer�s instructions. Its natural stability is not as good as other species and natural movement can create fine surface checks and end split in this material that can compromise coating adhesion. Must be stored and protected correctly on site. Difficult to dry due to its high resin content. Therefore it should be dried slowly to prevent checking and other drying defects. Heartwood moderately durable, Sapwood should be excluded or can be treated. Stainless Steel fixings are recommended and Marine grade may be required in close proximity of the sea. Round head ring annular nails are preferred or suitable screws. Please ensure fixing and fixing system is appropriate to species. The pressure impregnation process can lead to increased brittleness and issues such as end split face checks and dimensional distortion. These are characteristics of the treatment process, will potentially Increase site wastage and means that an increase in actual length of pieces ordered and/or overall volume may appropriate. 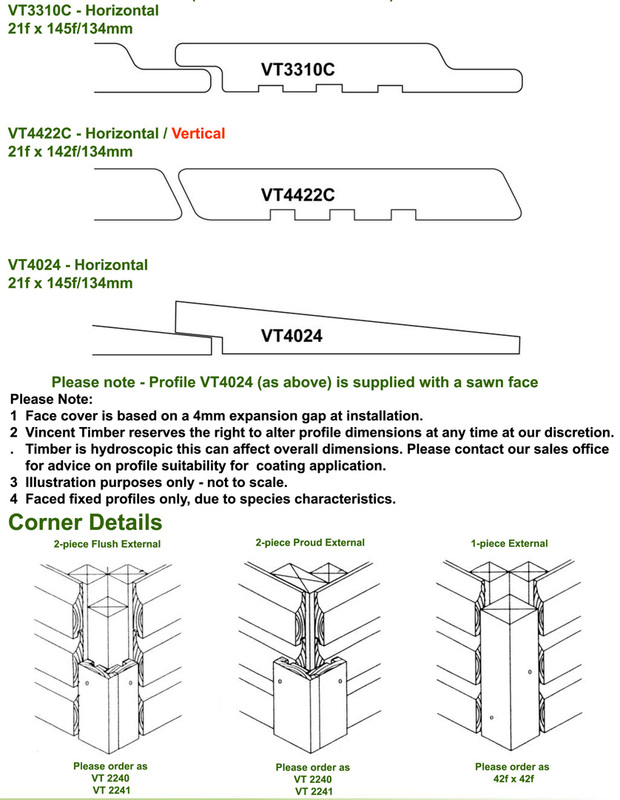 Can be supplied from 1.8m to 6.0m in 300mm increments but mostly available lengths are between 2.4m to 4.8m. Likely to be similar to European larch which is about 50% harder than Scots pine and slightly stronger in bending and toughness. The strength values for slow grown L.sibirica material are likely to be slightly higher than for faster grown plantation sourced material. All timber materials MUST be stored in accordance with good site practice, please refer to our Storing of Timber document. 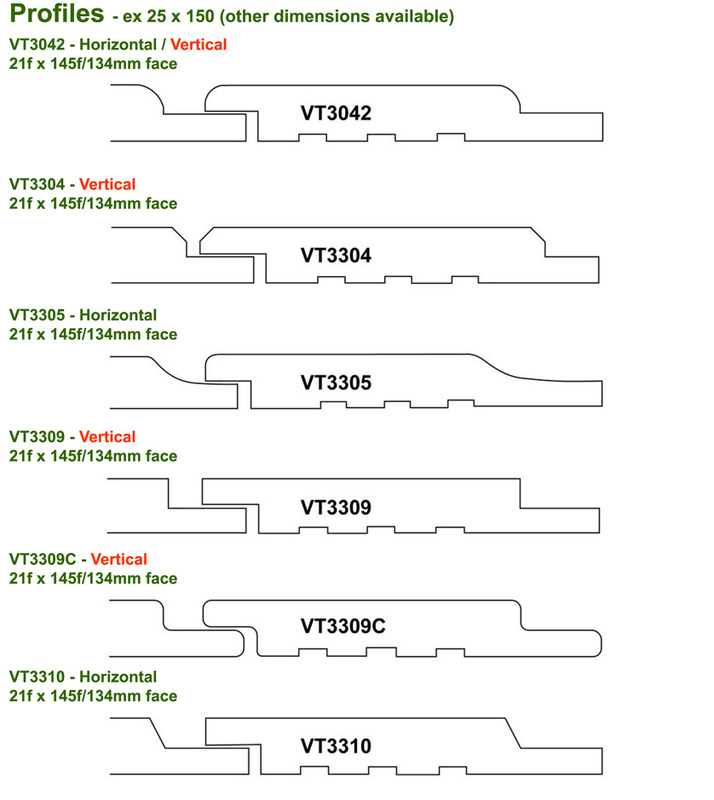 This material is known to have end split, face checks, occasional resin bleed and some distortion as natural characteristics. These are therefore not deemed as defects.Please ensure that you order sufficient materials in length and volume to ensure that you can complete your project.